Notoriously, this city is the birthplace of cultural movements: the Harlem Renaissance, hip-hop, abstract expressionism, jazz, and punk. Being the culture capital of the world takes a lot of effort guys, so a celebration is in order. 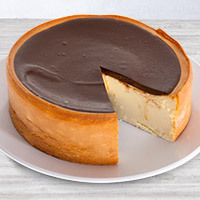 Since we're pretty big fans of NYC, we decided to celebrate with a decadent dessert like none other. 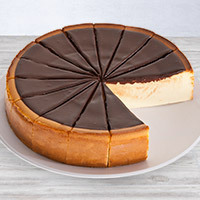 Our New York Chocolate Fudge Cheesecake takes the same smooth, rich dessert we all know and love but dressed up a little with thick, creamy fudge.